Your shoulder hit the side window. 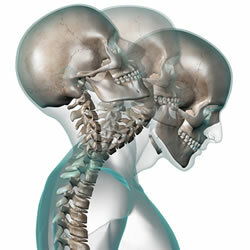 The shoulder pain after the auto injury is from you being thrown from the vehicle. Your arm was pinned in such a way during the impact that the shoulder was injured after ligaments, tendons and muscles were torn. There was an injury to your shoulder from the seatbelt. The shoulder pain after the auto injury is from hitting the windshield. Your shoulder bumped against a hard object inside the car. There are many other reasons why you can experience shoulder pain after an auto injury. What they all have in common is two things. First of all, the shoulder injuries are injuries that involve the soft tissues of the body – the muscles, tendons, ligaments and connective tissue that holds them together as well as the bones that make up the shoulder. There’s also something called the brachial plexus in the vicinity of your shoulder. This is a complete plexus of nerves that feed every part of your shoulder, arm, elbow, wrist and hand. If this brachial plexus is injured, it can cause nerve symptoms such as immense pain, numbness, weakness of the muscles of the areas the nerve innervates, and tingling sensations. This is the type of shoulder pain after an auto injury that needs immediate care and takes the longest to heal. The more extensive the damage of the brachial plexus injury, the more common it was for the person in the car to not wear a seatbelt. That’s what neurosurgeons at a university hospital in the Czech Republic found in their study. Secondly, because all these examples of shoulder pain after an auto injury are musculoskeletal in origin, your St. Louis chiropractor is the best choice of health care professionals to be on your health care team. It doesn’t mean your chiropractor has to be the only health care professional involved in your care but do make sure he’s on your team. With drugless, pain-relieving methods of care for shoulder injuries, your recovery will be faster and more complete. Contact Accident & Pain Relief of St. Louis to begin your auto injury recovery today!